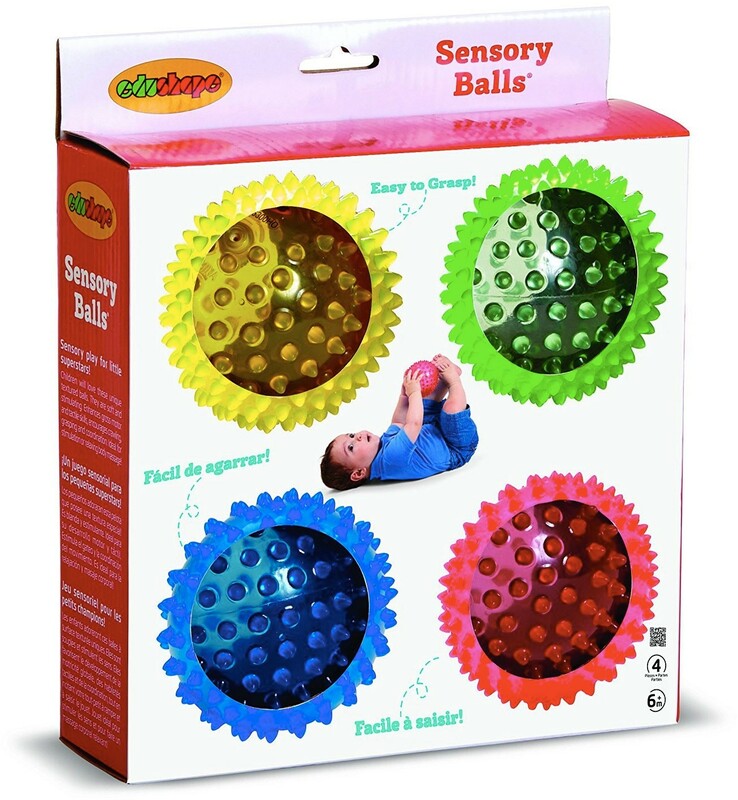 Here are four highly sensible reasons for choosing sensory balls by Edushape for your child: they enhance sensory stimulation, tactile development, they are effective in massage stimulation, and they enhance gross motor skills. 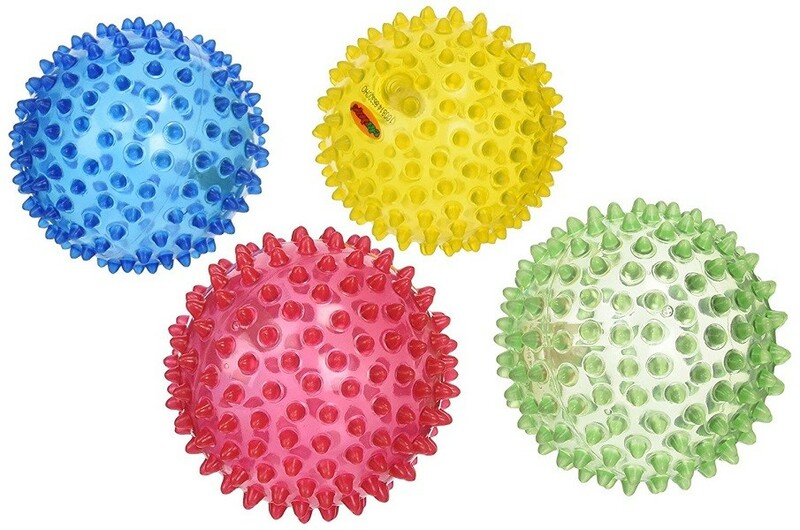 This set of four 4" balls includes a variety of colors in your choice of translucent or solid colors. 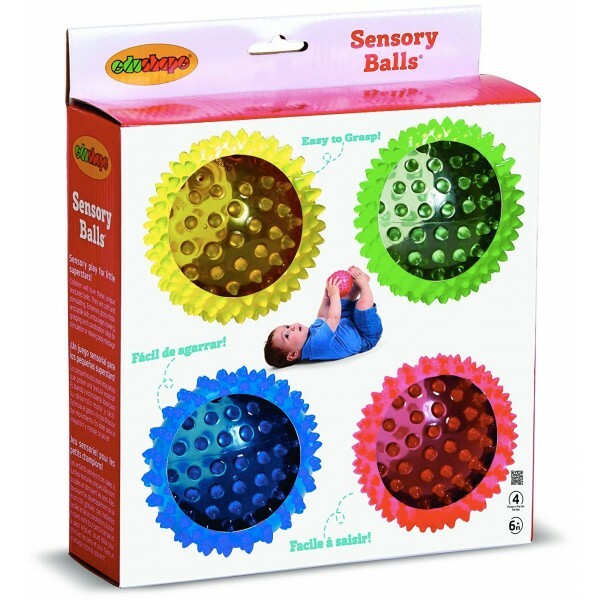 The size and surface texture makes it easy for babies to manipulate the balls and encourages interactive play with older kids and adults. Plus, the balls are phthalate-free, so you don't have to worry if your baby decides to take a bite.